I am always curious to see how the characters’ homes in films based on lives of historical figures compare to the ones they actually lived. 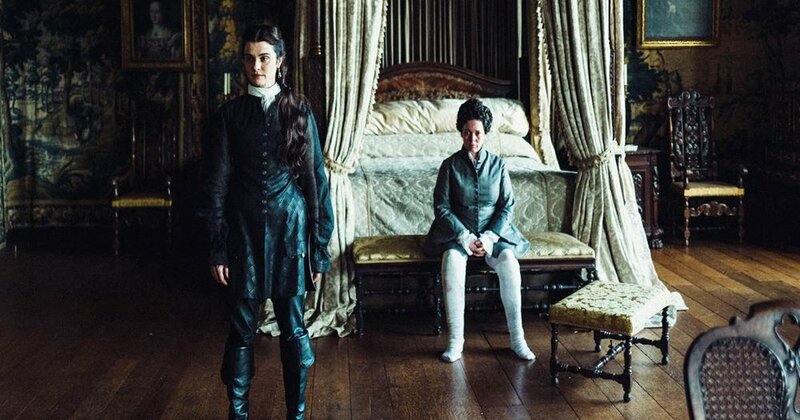 In the case of The Favourite, I thought they stacked up quite well. The kitchen scenes were filmed at Hampton Court, which was one of Queen Anne’s favorite palaces. It’s hard to get more authentic than that. Hatfield House, a vast Jacobean mansion in Hertfordshire with its own royal provenance was used for many interior and exterior scenes set at Kensington Palace or Hampton Court. Although perhaps not as large, its interiors worked quite nicely. and the real Queen Anne’s bed, seen on display at Hampton Court, would have felt right at home in it. Likewise the gallery at Hatfield used in the film looks larger than a corresponding one in Queen Mary’s apartments at Kensington Palace. The film also re-sparked my interest in the queen’s first favorite, Sarah Jennings Churchill, Duchess of Marlborough. Rachel Weisz’s stellar performance perfectly captured Sarah’s pugnacious, no holds barred approach towards getting what she wanted. While watching, I was struck by the similarity between her and Alva Vanderbilt Belmont, another woman who had a “take no prisoners” outlook in life. Aside from the similarities in temperament, it is also interesting that both women had multiple grand homes built for them, and further, took a keen interest the design and construction of them. Like Alva, I’d bet Sarah was probably was never so happy as “when she was knee-deep in mortar”. Though they lived centuries apart, their lives would be vicariously connected through Sarah’s greatest creation, but first, here is a look at some of places Sarah Jennings Churchill lived in throughout her life. Born in 1660 in St Albans in Hertfordshire, Sarah entered the Royal Court at the Palace of Whitehall at the age of 13 to serve as a Maid of Honor to Mary of Modena, the new Duchess of York (The Duchess, only two years older than Sarah had recently married King Charles II’s younger brother, twenty five years her senior). By 1675 Sarah had become friends with the Princess Anne, the Duke of York’s daughter by his previous wife. Their bond would grow progressively stronger over the years. After marrying John Churchill secretly sometime during the winter of 1677/78 (neither of their family’s approved of the match, each side hoping their children would find a wealthier spouse), the couple set up housekeeping in a house on fashionable Jermyn Street in St James. The Marlboroughs followed the Yorks to their exile in Scotland, most likely staying at Holyrood Palace, and returned with them when they were recalled in 1682. In recognition of his loyalty to the Royal family, King Charles made Churchill a Baron, and in 1683 Sarah was made a Lady of the Bedchamber to Princess Anne, recently wed to Prince George of Denmark. In 1684 the Churchills moved into the Cockpit Lodgings near Princess Anne’s apartments in the Whitehall palace. The Cockpit was a small group of buildings next the royal tennis court were built over the former site of a cockfighting pit. That same year Sarah bought out her sister’s share of Holywell House, their parents home in St Albans. While far less imposing than her later homes, she always remained attached to it. After their ascension, William and Mary made John the Earl of Marlborough in recognition of his siding with them during the Glorious Revolution. By 1692 however, they were convinced the Churchills were secretly conspiring with theJacobites. John was dismissed from all his offices. Mary also insisted Anne dismiss Sarah from her service but she refused. The Lord Chamberlain then removed Sarah from her lodgings in the Cockpit. In a show of solidarity, Anne left her apartments as well, taking up residence in Syon House, owned by the Duke of Smererset, where Sarah joined her (John was in residence at the Tower of London, imprisoned on trumped-up charges). Later that year the two moved to Berkeley House in Piccadilly. After Mary’s death in December 1694, William thought it wise to repair relations with Anne, now the heir apparent and by extension the Churchills. All were soon installed in apartments in the southeast corner of St James Palace. With a comfortable house in the country and a private apartment in a Royal Palace, the Churchills were doing quite nicely. Things really picked up for them though after Anne’s ascension to the throne in 1702. As the Queen’s favorite, Sarah was created Mistress of the Robes, Groom of the Stole, Keeper of the Privy Purse, and Ranger of the Windsor Great Park. Along with other benefits, a ten-room apartment in Kensington Palace, and Windsor Lodge (today Cumberland Lodge) came with these appointments. Queen Anne immediately offered the Churchills a dukedom as well. At first Sarah demurred, concerned the enormous sums required to maintain a lavish ducal lifestyle expected by society could have a ruinous effect on their son’s future finances. Anne countered by offering both Churchills generous annuities and lifelong pensions to ease the burden. After the Duke’s victory at the Battle of Blenheim in 1704, Anne granted him the Manor of Woodstock and agreed to pay for the erection of a fine palace upon it. Sarah, soon busy with the construction of Blenheim Palace and bickering with Sir John Vanbrugh, the architect chosen by her husband to design it, seldom came to court anymore, but nonetheless continued to exert a huge amount of influence over the Queen. This period marked the beginning of the turning point in Sarah and Anne’s relationship. Soon Anne remarked to the Prime Minister she didn’t think they could ever be true friends again. By 1708, perhaps sensing her role as favorite would eventually be coming to an end, along with all the trappings that came with it, Sarah began looking for a location to build a proper London establishment. She leased property from the Crown on Pall Mall, not far from the Duke of Buckingham’s new home. 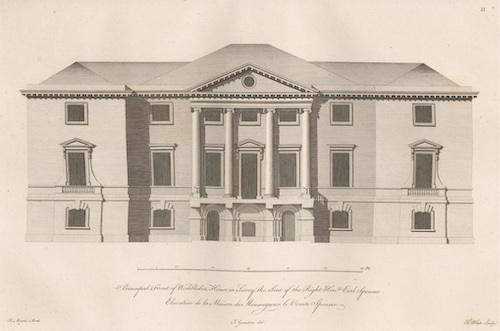 Construction began on their new home designed by Christopher Wren began the following year, but had not been completed before the final breach between Sarah and Anne occurred in 1711. Sarah and John were evicted from their lodgings in St James and Kensington Palaces. They were allowed to keep Windsor Lodge (Sarah had been granted an irrevocable life tenancy when she accepted the title of Ranger of the Great Park), but royal funding for Blenheim Palace stopped and construction ceased. 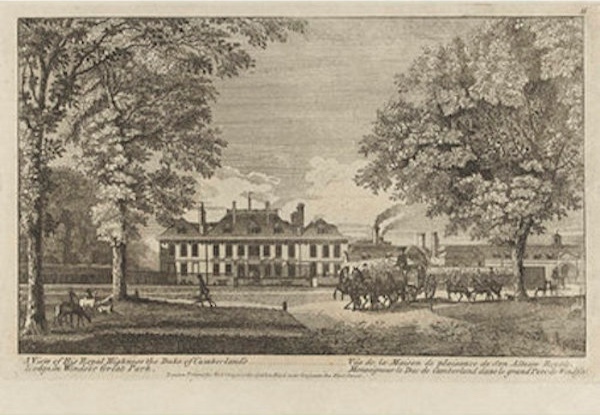 Banished from Court, Sarah stayed with her daughter at Montague House before the Churchills departed for the Continent where they remained until Anne’s death in 1714. Marlborough House, completed by then became John and Sarah’s London base. but the project was not fully compete until well after the Duke’s death in 1722. That did not stop Sarah’s attention from turning to other projects. 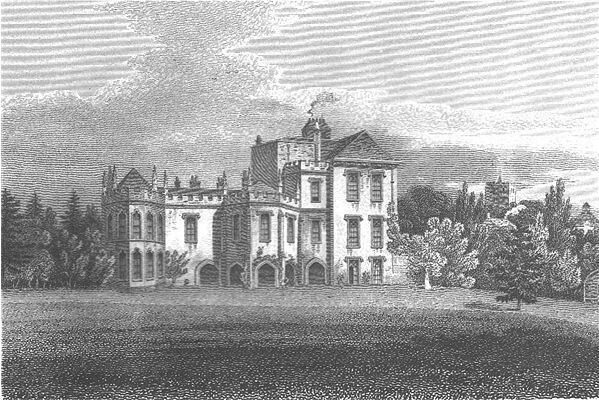 She purchased Wimbledon Park from the Cecil family in 1723 and had the remains of an earlier manor house there demolished. Consulting with Henry Herbert, “the architect” Earl of Pembroke, she began construction on a compact Palladian mansion there. and Blenheim Palace, her grandest creation, remain. I can’t help but think, the idea of her daughter becoming its chatelaine was a key part in her spiritual descendant Alva Vanderbilt’s decision to force her daughter into an unhappy marriage with Sarah’s actual descendant, the 9th Duke of Marlborough.